Altus Financial is an Australian financial services firm based in the Sydney CBD. With over 30 years experience in providing both personal and business financial advice, they have grown into one of the industry’s most well-respected firms. Their unique integrated services model, which combines Wealth Management and Business Performance, is made possible by the diverse and experienced financial professionals they employ. They offer an “under one roof” approach to finances that clients love. 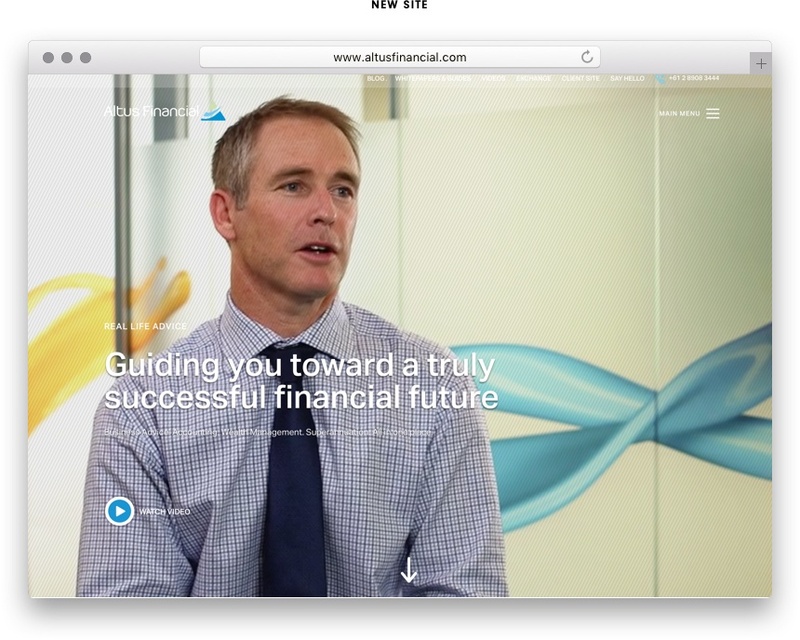 Despite the strength of their services and enviable reputation, Altus Financial were not reaching their potential online. Yet with a creative inbound strategy and brand refresh, they have now set the course for sustainable online growth. 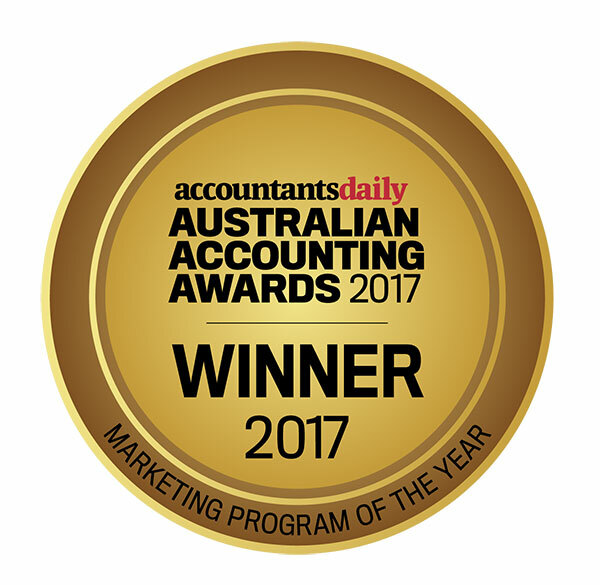 Winner of 3 coveted Australian Accounting Awards, including Marketing Program of the Year 2017. Their sales process was fragmented and cross-sell opportunities were being lost. 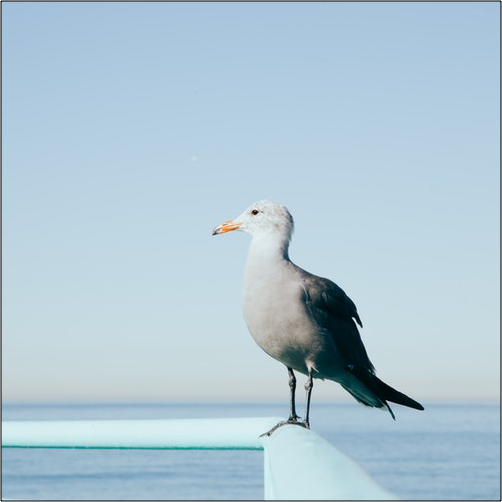 While the Altus Financial website was functional, it was not built to support inbound marketing initiatives like lead generation. As such, it’s sole source of traffic was direct and it suffered from low visibility in the SERPs. 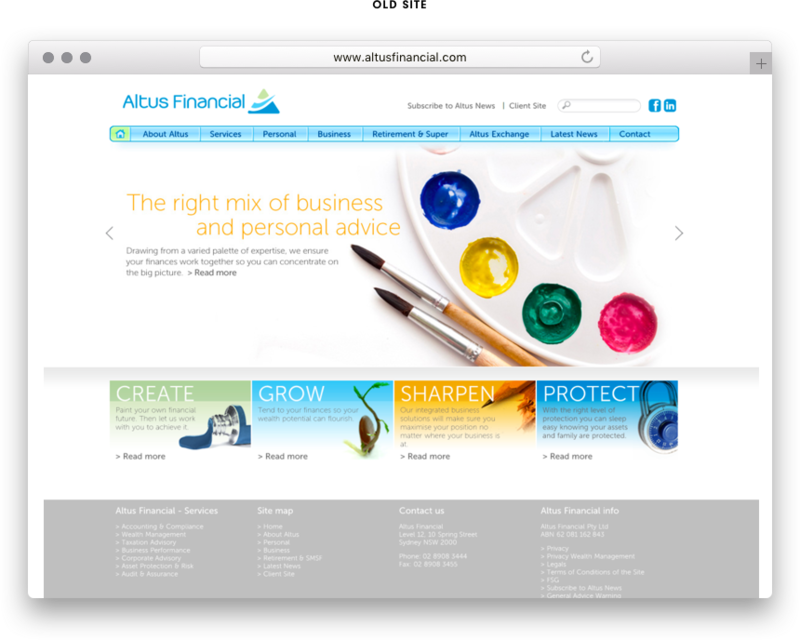 Furthermore, the website design was growing dated, and Altus Financial felt that it no longer represented the modern values of the business. As such, generating new business through the website was difficult, which is why a new one was the first port of call. 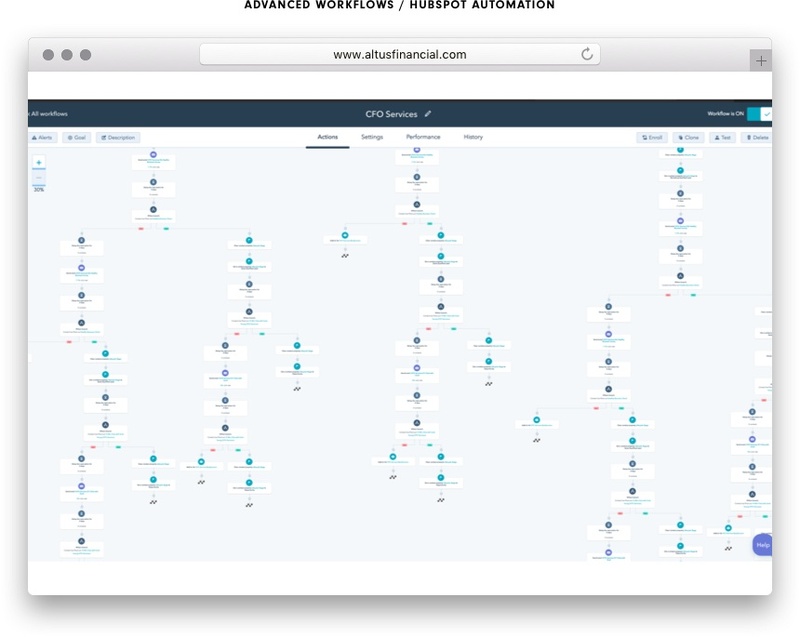 The new Altus Financial website built on the HubSpot COS would communicate the modern and unique approach of the business. We wrote, filmed and edited a feature video to demonstrate that the strength of the Altus brand was its people, which formed the homepage banner. As a result of this engaging homepage video, we saw bounce rates fall by 8% and time on site increase by 29 seconds in just 8 weeks. The website was also built to support a comprehensive lead generation program, with resources hubs a revitalised blog and pillar pages based on the content cluster method. In addition to an online revamp, their in-house marketing collateral (like slide show presentations, brochures, and fact sheets) were redesigned to provide a consistent brand experience for clients. Taking a one campaign focus per quarter approach, we began to create premium content assets at every stage of the funnel to generate leads. These took multiple formats, such as webinars, eGuides, videos and interactive micro sites. Our premium content assets were supported with strategic campaign fuel in the form of blog content, and videos each with a call-to-action to a relevant landing page, and each amplified using HubSpot social tools. With an end-to-end lead generation and nurturing strategy, we achieved 50 sales qualified leads per month, compared to the 0 leads Altus was generating through their website previously. We also found further applications for Altus Financial’s premium content assets. The popular Healthy Business microsite, which quizzes prospects on their competency in several business areas, was a great lead generation tool but also became an opportunity to increase existing client share-of-wallet, by highlighting opportunities for conversation during monthly business performance workshops. We also in the process of fully integrating HubSpot via APIs with Netsuite which Altus use as their ERP. Own your own business? check the health of your business here. The microsite presents 20 questions to prospects, asking them to rate their business on everything from succession planning to cash flow. 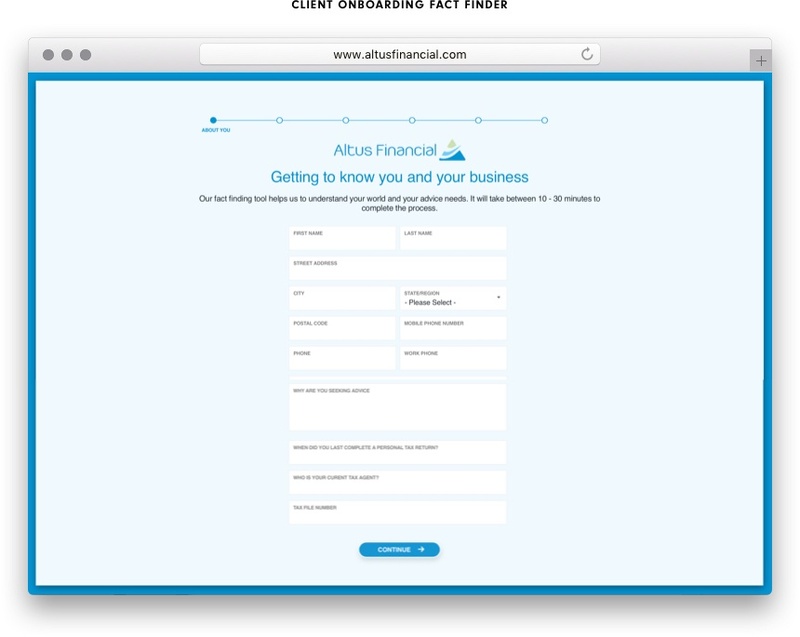 By encouraging existing clients to use the Healthy Business micro site, Altus Financial began to identify cross-selling opportunities for other services that could add value. Complementary to Altus Financial’s lead generation strategy, we hosted sales enablement sessions, educating the team on inbound sales best practice and improving close rates. 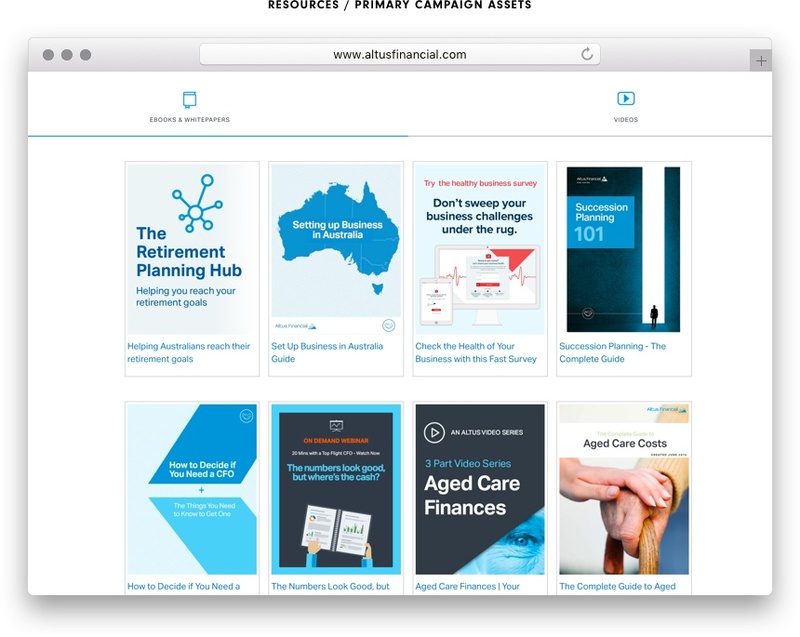 Altus Financial have experienced direct growth from their inbound marketing program. They have hired an in-house marketing executive to support growth within the business, and have improved client experience across multiple touch points, which has facilitated hundreds of thousands to the bottom line. 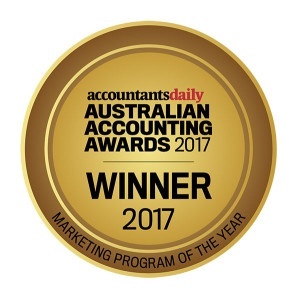 Altus Financial was also awarded two prestigious Australian Accounting Awards in 2016, and Marketing Program of the Year in 2017. Spinlfuence also received a HubSpot Impact Award in 2017 "Inbound Growth Story"